WHAT CAUSES A BABY TO BE FUSSY? GAS, Every baby will experience gas issues at some point during their first four months, because their immature guts are still developing. Both breastfed and bottle-fed babies can experience gas, which is one of the most common causes for baby fussiness. HOW DO YOU TELL IF YOUR BABY IS HAVING GAS? 1. Burping – Burping is a natural way to let out gas and all moms should burp their babies after every feeding time. But, constant burping, hiccups, or spit ups could mean that baby is swallowing too much air during feeding time. 2. Bloating – When gas gets trapped in the baby’s intestines, it acts as a cork, blocking the flow of gastric juices. This will cause the baby’s belly to appear swollen and bloated. 3. Flatulence – Passing gas is extremely normal, and most babies will expel gas 15-20 times a day. But any more than that could indicate your baby is not digesting food properly. 4. Fussiness – With babies crying with every possible reason, it’s difficult for parents to tell if the baby is crying because of gas. Gas cries are sharper and more acute, and has an “Eairth” sound. Also, if the cry is accompanied by a red face, clenched fists, and grunting, it’s a good indicator of trapped gas. WHAT CAUSES GAS TO BE TRAPPED IN BABIES? 1. 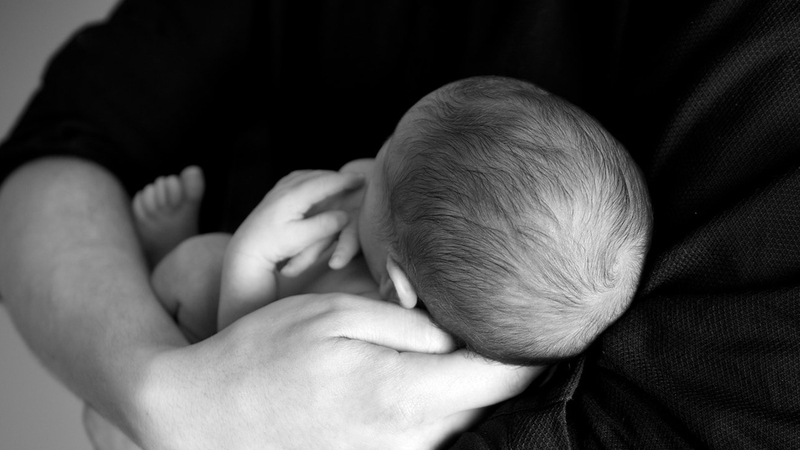 Incorrect feeding – If a baby does not latch properly on the breast or bottle, it can cause too much air to be swallowed. If a baby is fed too fast, the baby’s body will increase intestinal gas to break down the excess lactose. To prevent this, try keeping a baby at an angle when breastfeeding or in a vertical position if bottle feeding, as this will slow down the flow of milk into the baby’s mouth and down their throat. Also, don’t forget to burp the baby after every meal time. 2. Crying – When babies cry, they swallow air which then causes gas inside their body. As you can imagine, this can create a self-reinforcing cycle as the baby will cry with trapped gas, and swallow even more gas! You should always attend promptly when baby starts crying and see what the reason is. 3. Excess lactose – Too much lactose will cause baby’s body to increase gas to digest it. Breast milk contains both foremilk and hindmilk, with foremilk containing more lactose. To prevent excess lactose in the baby’s body, some experts suggest emptying the foremilk before nursing, to help reduce trapped gas. 4. New Foods – Since baby’s digestive systems are not fully developed, new food can be difficult for them to process- especially food with high sugar. New food cause not only gas but also can cause baby losing stools. Colic causes stomach upset in babies under six months old, and affects 20% of all babies. Babies suffering from colic issues tend to be very fussy, and will often extend their legs and pull them up against their body as a way to pass gas. Afternoons will be the worst time for colicky babies, with crying lasting up to three hours. It is not abnormal for a baby to spit up, however, if this occurs after every feeding time, accompanied by vomiting, crying and pain, you might want to visit the doctor. Some babies are affected by gastroesophageal reflux disease, commonly known as GERD. Babies suffering from GERD can often be seen arching their backs and drawing up their knees. What a baby eats is a common cause for gas, colic and reflux. To prevent a baby becoming fussy due to gas issues, you should be cautious of what you feed your baby. For a baby under 6 months old, breast milk or formula is they need in terms of nutrition. Once a baby is 6 months old, you can slowly introduce them to other foods. For babies under 12 months old, you should avoid feeding them too much food that could potentially cause gas and irritation in baby’s stomach. This includers citrus fruits which can cause acidity, whole cow’s milk, and vegetable like broccoli, cauliflower and cabbage that may cause excess gas. When fed in small amounts, these food will not cause too much of a problem, but generally babies should not be introduced to sugary or fried foods.